Income And Spending Both Basically Flat In August : The Two-Way Spending went up, but largely because gasoline cost more — not due to stronger demand. 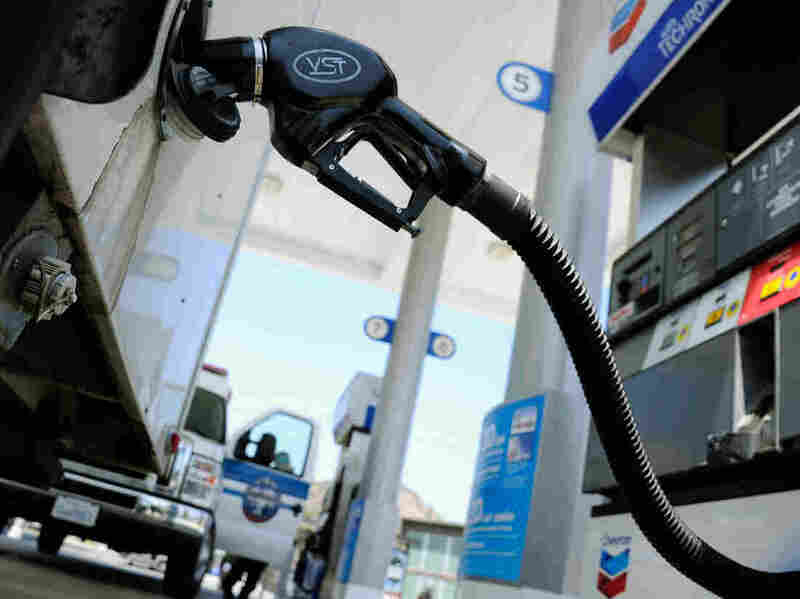 Higher prices at the pump meant the amount of money consumers spent went up last month. Americans' personal income grew by just 0.1 percent in August from July and consumer spending would have been basically flat as well if it hadn't been for higher gasoline prices, the Bureau of Economic Analysis reported this morning. Overall, spending grew 0.5 percent last month. But, writes Reuters, "households stretched to pay for higher gasoline prices." According to the report, the cost of "energy goods and services," which gasoline is a large part of, rose 5.8 percent in August from July. Since consumers purchase about 70 percent of goods and services, their spending is a key economic driver. Bloomberg News says the August spending news — because the growth was mostly due to higher prices, not stronger demand for goods and services — signals "the economic expansion is struggling to gain momentum."